During online Twitter conversations whilst the three-part documentary ‘Are our kids tough enough? 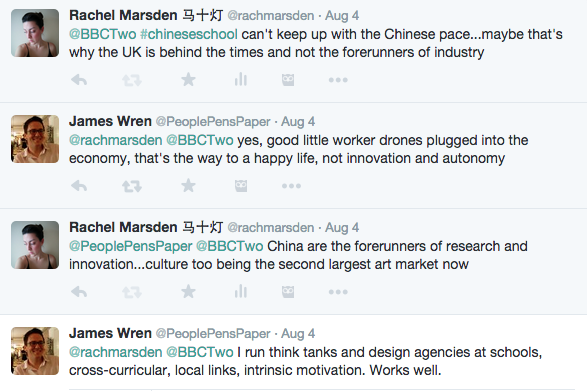 Chinese School’ played out on BBC2, I heard from James Wren, owner of The School of Creative Thinking – in-school think tanks and design agencies managed by students with local non-profit clients. We got into dialogue about the Chinese pace of teaching, comparing UK and teaching research and teaching structures, where James saw cross-curricular and local links intrinsic to motivation of the student. We went on to discuss whether behaviour in school is cultural stating that collaboration could be a positive tool. 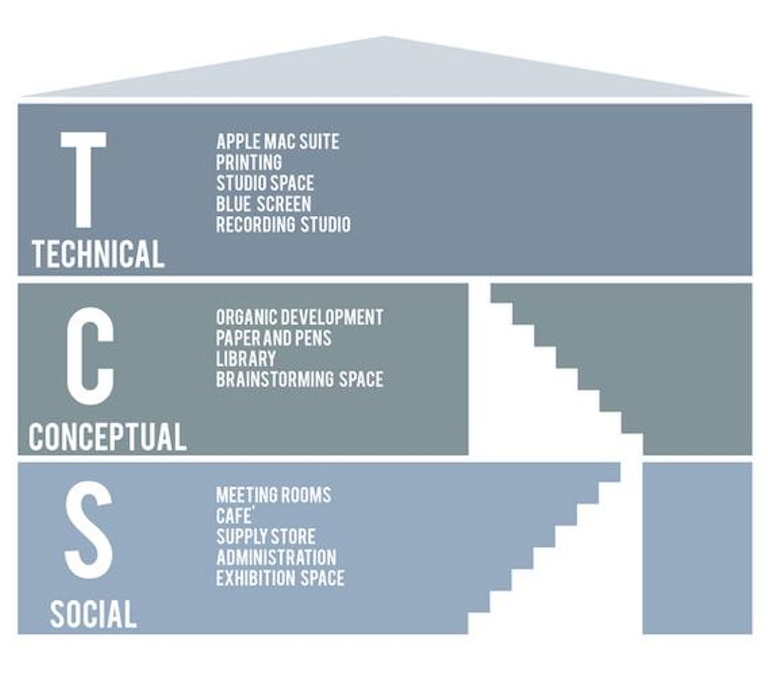 At this point, James cited his model for his concept – The School of Creative Thinking, a three-tiered model shown below…Social → Conceptual → Technical. Vital stages in the design process. SCT is about teaching of “soft skills” and creativity to students to feed motivation, confidence, empowerment and most of all fuel innovation and fresh thinking in the work that they do. I’ve seen many model of this type, in other words projects in practice – “LIVE” projects – between China and the UK, largely design related projects but they work…international creative synergy breeds new ways of thinking for the students. I feel any engagement with another culture in a creative environment would do this. As SCT states it’s about “Time – Space – Autonomy – Confidence”. When I go to Beijing Design Week 2015 at the end of September, I am interested to see what kind of projects use this kind of model…I’m already reading about some of their laboratories and workshops. James I’ll report back to you! 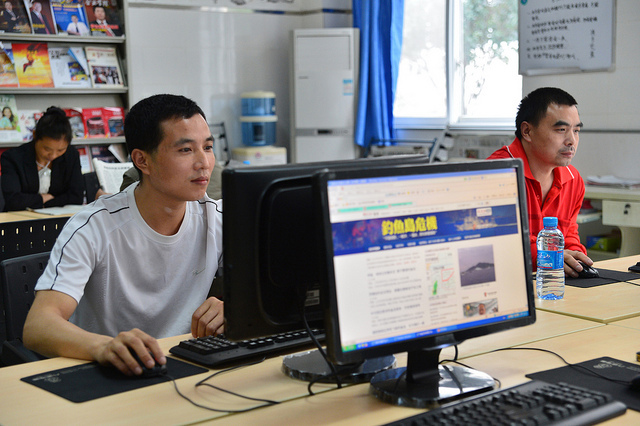 One of the comments following this article provided additional context that can be applied globally not just to China. It also highlighted barriers to learning, disability and learning disabilities in mainstream schools, something that you don’t often hear about in China, and I often feel that it is a “teach one, teach all” mentality…though I could be wrong, another area to research. If any readers know more, please get in touch. 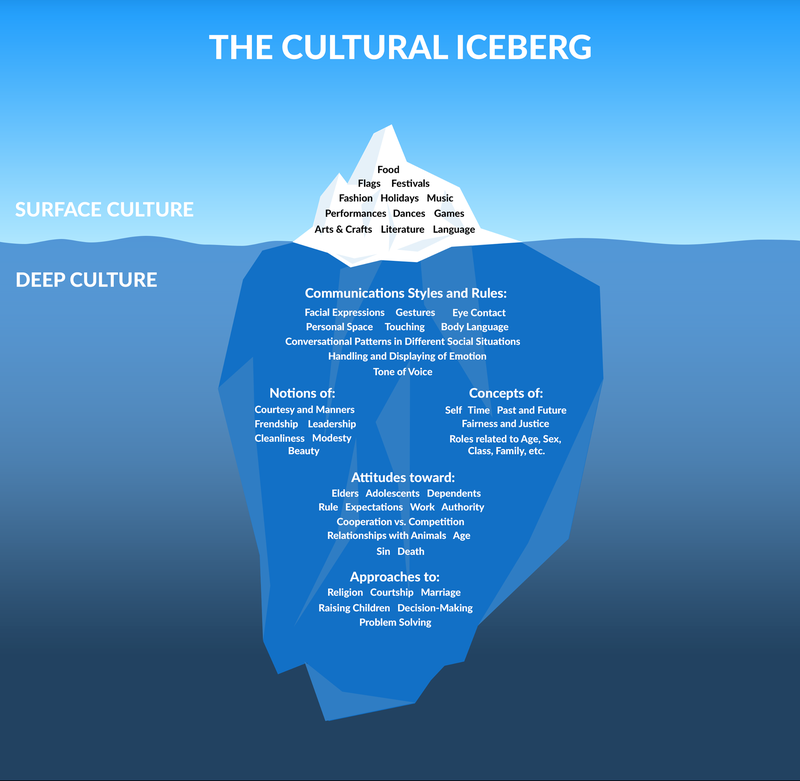 SURFACE CULTURE – The external, or conscious, part of culture is what we can see and is the tip of the iceberg and includes behaviours and some beliefs. This is implicitly learned, unconscious, difficult to change, subjective knowledge. DEEP CULTURE – The internal, or subconscious, part of culture is below the surface of a society and includes some beliefs and the values and thought patterns that underlie behaviour. There are major differences between the conscious and unconscious culture. 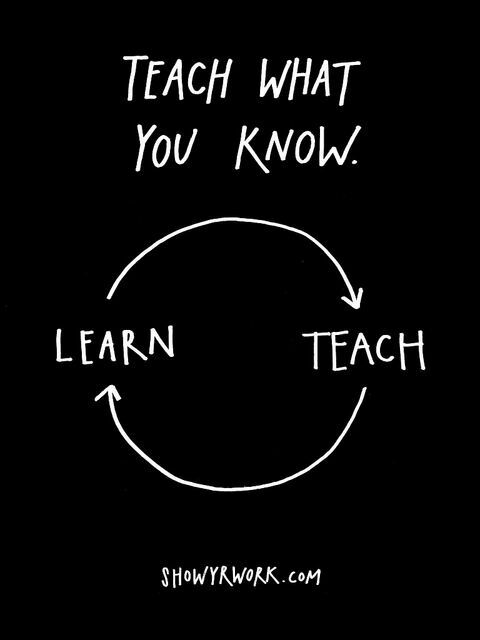 This is explicitly learned, conscious, easily changed, objective knowledge. I’ve cited this model as I believe it can be applied to teaching and learning…especially as regards the teaching of international students. As teachers, we must learn the culture from which they have come, cultural assimilation as such to their background (where possible), adapting teaching methods to their learning styles. I think ‘Are our kids tough enough? Chinese School’ is a good example of what needs to change, and that’s from the other way round, therefore there needs to be an acknowledgement of not only international students, but international teachers. 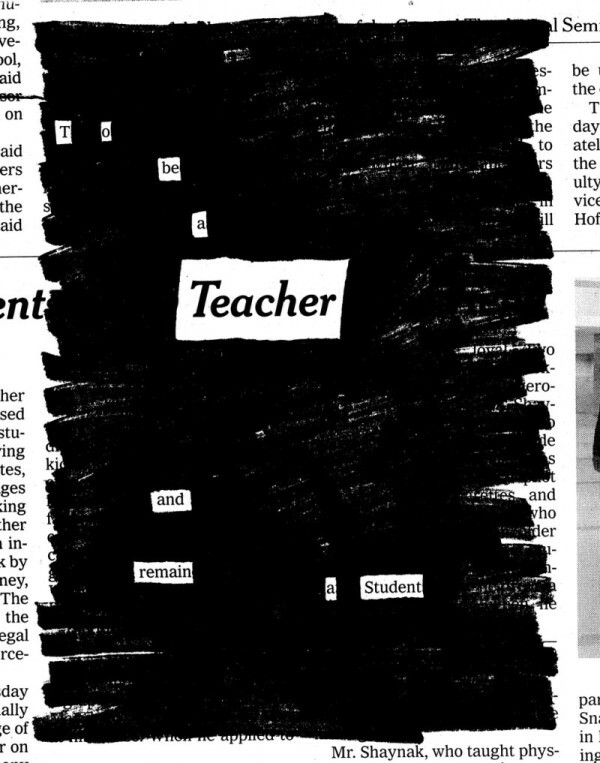 Here’s to a global education…and how to make it work.